I was driving through western Massachusetts recently when this billboard caught my eye. Maybe you don’t think the sign is funny, but it cracked me up and broke up the monotony of a long drive. 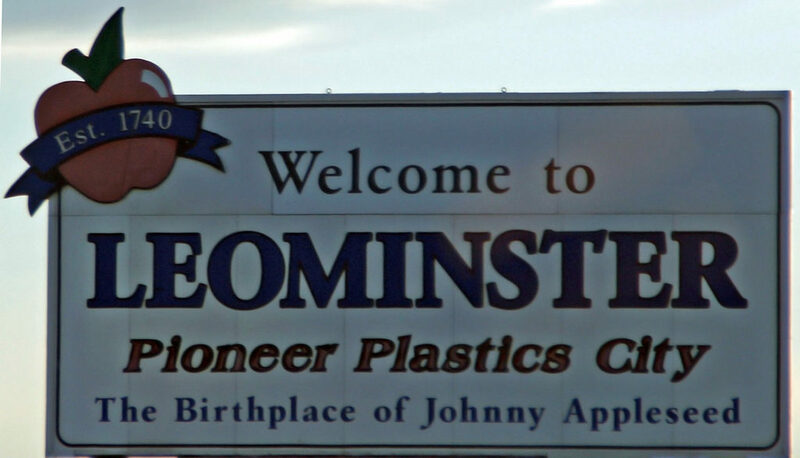 “The Birthplace of Johnny Appleseed” and “Pioneer Plastics City” aren’t two phrases you expect to see together. After I got home, I looked up the history of Leominster. It turns out the citizens are proud of their heritage as an industry leader in producing combs and other plastics. I also discovered that Johnny Appleseed really was born there. Johnny was a real person, not a legend like Paul Bunyan, claimed by both Maine and Minnesota. The problem is that plastics and apples don’t complement each other. Every American child learns about Johnny Appleseed and associates the name with health, generosity, and growing something for future generations. When we think of plastics, words like man-made, disposable, and cluttering landfills come to mind. If you’re going to say what your classroom or school stands for, you have to pick a lane. You can’t say you’re for rigorous standards and lots of creativity. Or you’re for leisurely exploration of ideas when every minute is regimented and accounted for in your schedule. When it comes to summing up your classroom or school in a few words, decide what you want to be famous for and let go of the rest. Otherwise when you try to say what you value most it ends up being confusing or mission statement gobbledygook to an outsider just passing by. This week we present some literacy cures for the winter doldrums. Enjoy! Clare Landrigan found she was struggling as a writer and runner. Getting out of both ruts helps her develop three simple principles for working with students in slumps. Something bad was happening in Katie Doherty’s middle school classroom. In the midst of the winter doldrums, it was time to rebuild expectations for reading and writing workshops. What better way to get over hump day than with word games students love? Mary Lee Hahn provides plenty of choice, including recycling old favorites, for Word Game Wednesday. Now is the time to get organized for March Book Madness. Tony Keefer and Scott Jones, the founders of the program, share booklists and other resources. These words from the Mary Oliver poem “A Summer Day” have haunted and inspired many of us for years. Shirl McPhillips honors the poet upon her passing, reflecting on the power of favorite poems and poets to endure in the lives of writers. Jennifer Allen has been fascinated with helping boys write for years, ever since her own son insisted on writing on the same topic over and over again. She shares her five favorite strategies for boosting interest in writing among boys. In this week’s video, Gigi McAllister helps fourth grader Griffin re-engage with his writing by pointing out some of the unique qualities of voice and style his piece possesses. In an encore video, Aimee Buckner confers with a fourth grader who is learning how to choose books for independent reading. She gives advice in the first conference and then returns 10 minutes later for a follow-up meeting. 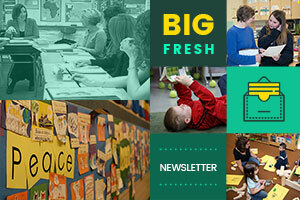 In this five-minute video, Cathy Mere and Kelly Hoenie talk about how coaches can help teachers personalize their professional development through activities like “Pineapple Week” that break through the winter doldrums and build a collaborative community. Do you have an administrative report you’re avoiding writing that is overdue? Has it been weeks since you wrote anything for your blog? Dini Eddie shares Ten Ways to Overcome Writer’s Block. Our featured contributor is Jennifer Allen, whose personal credo comes from an Emily Dickinson quote, I dwell in Possibility. 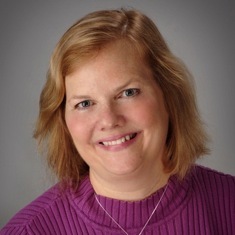 Jen is the author of the books Becoming a Literacy Leader and A Sense of Belonging, as well as numerous video series. She currently works as a literacy coach in central Maine. You can catch up with Jen’s latest Choice Literacy writing and videos at this link. Have you claimed your 40% Literacy Leader subscription discount for an online course? Dana Murphy’s class on organizing for coaching cycles starts in a week. Details are at this link. We are but birds of passage and we must build our nests out of what we can find.